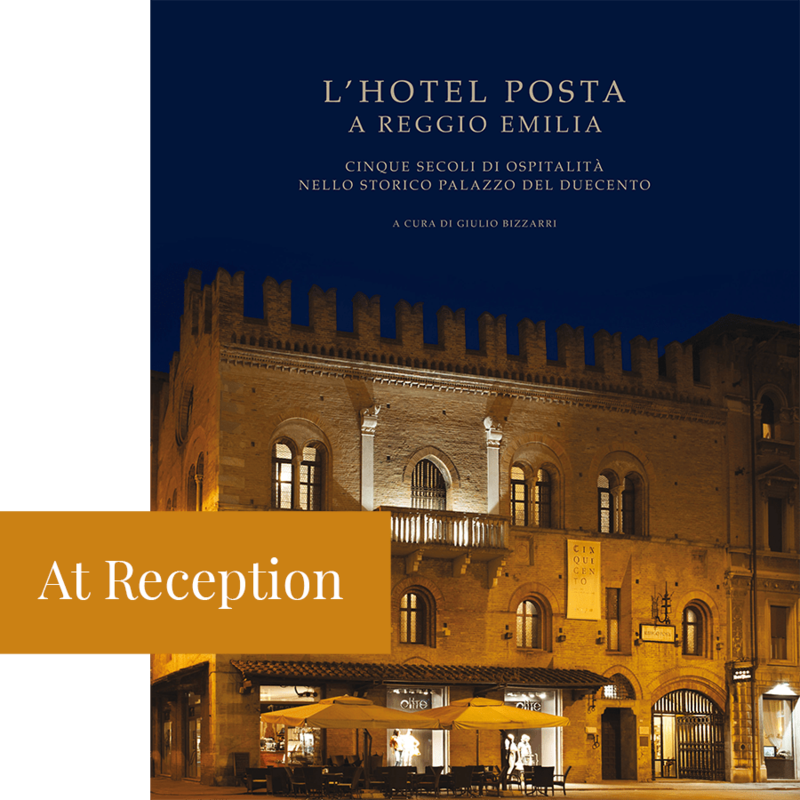 At Reception, you can purchase a copy of the book entitled “Hotel Posta in Reggio Emilia. 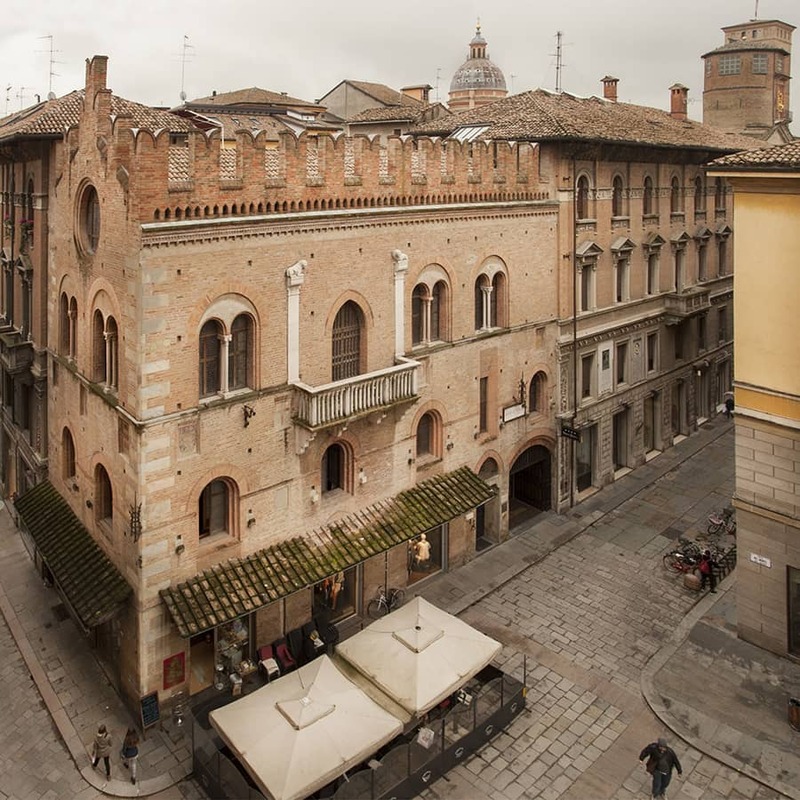 Five centuries of hospitality in a historic 13th-century palazzo”, which features a rich array of images with captions in English. Alongside the preface by Roberto Gervaso and the introduction by the mayor of Reggio Emilia, Luca Vecchi, the book contains essays by Carlo Baja Guarienti, covering the historical and political aspects, by Luisa Bosi, on the provision of accommodation in the building since 1515, by Giuseppe Berti on the artworks of Cirillo Manicardi and the 14th-century paintings in the main hall, and by Stefano Maccarini Foscolo on the restoration carried out in the 1930s. 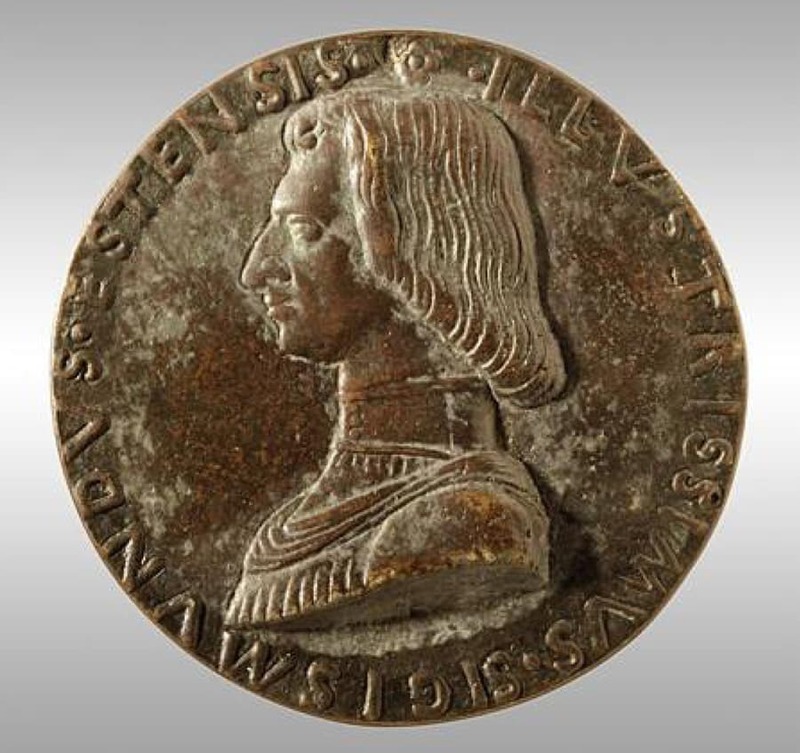 Giuseppe Adriano Rossi deals with the relationships between Eugenio Terrachini and the Reggio section of the “Deputation of National History for the Provinces of Modena”. The afterword, written by Eugenio Sidoli, is dedicated to Eugenio Terrachini, the owner and person responsible for the major restoration of the 1930s, marking the 500th anniversary of the building’s construction. The history of the Palace of the ‘Captain of the People’ began in 1280, when the building was constructed in what were to be the dying days of the supremacy of Countess Matilde di Canossa, at the dawn of the age of the Comuni (municipalities), during which time it became the seat of the ‘Captain of the People’ – the new, elected post of city governor. Numerous ‘Captains’ came and went in the Palace until 1327 when, after the end of the freedoms of the Comuni, there came the advent of the Signorie (Lordships), which saw power being held by a series of families: Gonzaga, first, followed by Visconti, Terzi and, finally, Este. 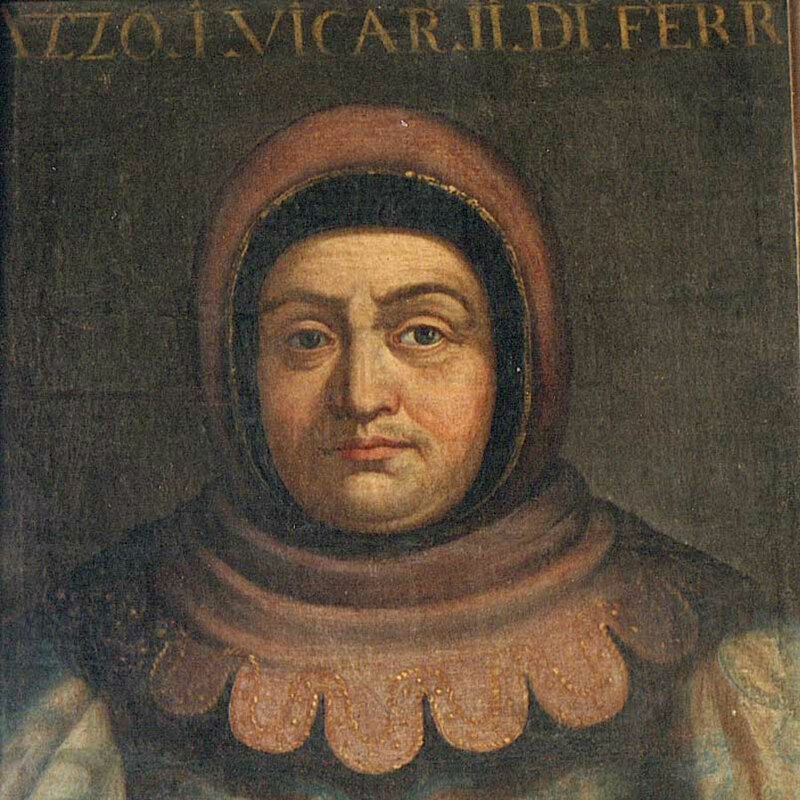 Sigismondo d’Este, brother of Borso, was the last person to inhabit the Palace, which he did from 1463 to 1472, as Lieutenant of the City. In those years, the building also served as the seat of the Ducal Mint Official and the Mint itself, but in the early 16th century, the palazzo was abandoned, to such an extent that the Comune, reluctant to cover the immense costs of maintenance, decided to rent out the upper floors to the Baldicelli deli Scaruffi family, for them to provide a “BONA AC CAPACE HOSTARIA” to travellers. Since then, and for five centuries, through rental agreements and transfers of ownership, the building has changed hands many times, and even its name has changed time and again (from OSTERIA DEL CAPPELLO ROSSO, to LOCANDA DELLA POSTA DEI CAVALLI, ALBERGO DELLA POSTA and now HOTEL POSTA), but it has remained a hotel throughout the entire period. Over the centuries, the building has been repeatedly overhauled. When it was acquired in 1919 by Eugenio Terrachini, all traces of the original appearance had gone by the wayside, with the infilling of the two-light windows and the rose window, and the concealing of the original facade under a thick layer of plaster. 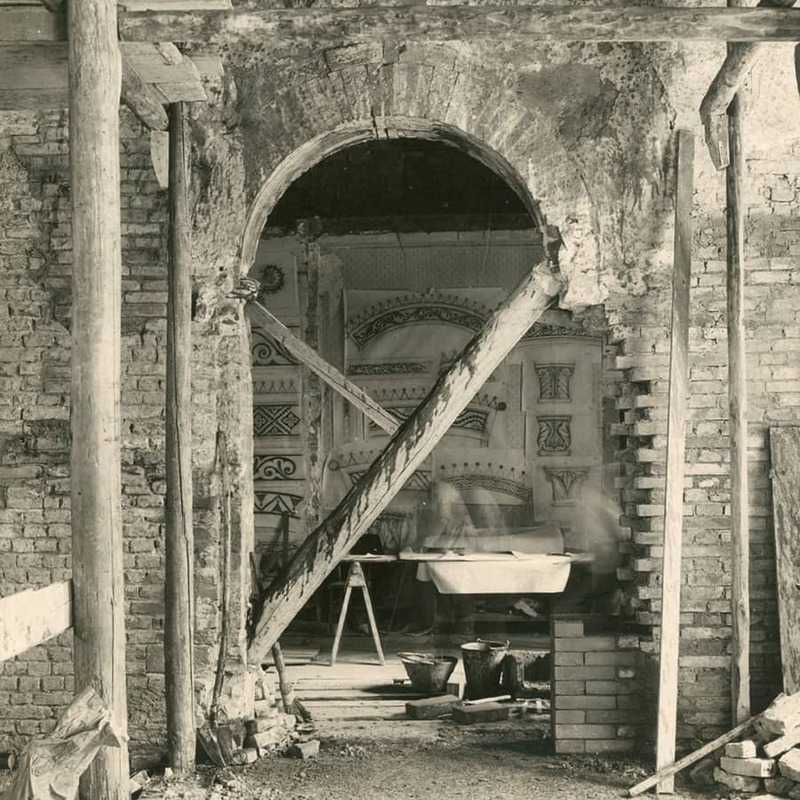 Eugenio Terrachini commissioned engineer Guido Tirelli to come up with a design that would see the demolition of the existing building and the construction of a new one, but prior to giving its approval, the Bologna Architecture Department demanded the removal of the plaster to verify the condition of what lay underneath. This process brought to light so many significant remains of the original architecture as to convince the Department to force the owner to carry out a wholesale renovation of the ancient mediaeval palace. In this way, the city of Reggio was once again blessed with a building from the age of the Comuni – one that had been a key feature of local history across the centuries and that had narrowly avoided being lost forever. The current ownership has remained unchanged since 1919. 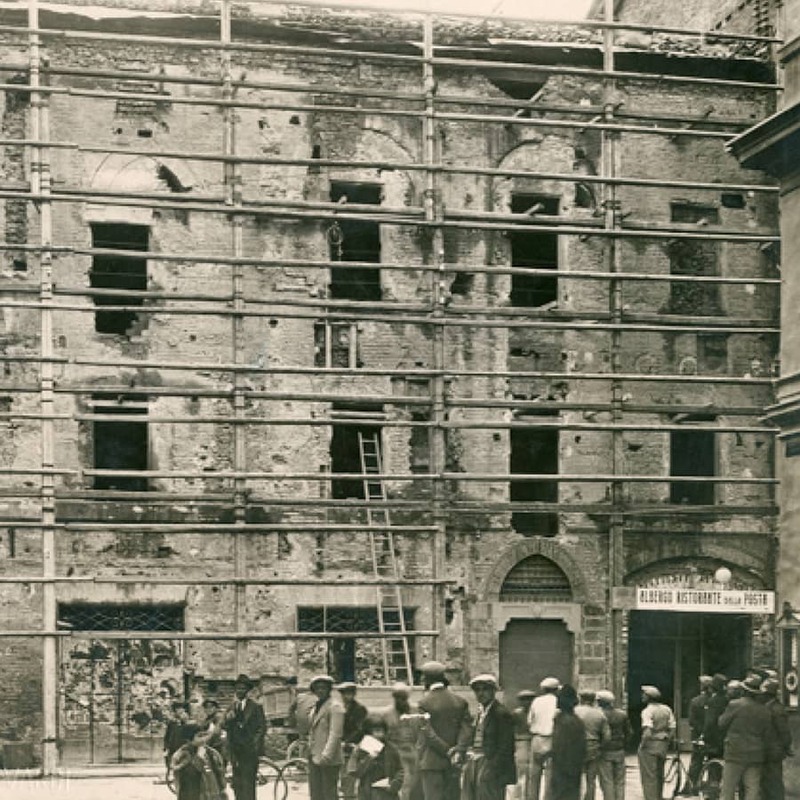 Following the major restoration of the 1930s, in 1986-87 another important intervention was carried out, which in addition to upgrading the services also saw all of the interiors being renewed, the ancient assembly hall being restored and the outside of the building being refreshed. Subsequently, the hotel was upgraded from a 3-star to a 4-star. Since then, the latest generations of the family have concerned themselves with the direct management of the hotel.